10 minutes with Dani Andrada - KletterRetter - Mehr klettern. Besser klettern. Most of you have heard of the famous route Chilam Balam (9b) in Villanueva Del Rosario, Spain. Climbed by the likes of Bernabé Fernández (first ascent 2003), Adam Ondra (2011), Edu Marín (2015) and Dani Andrada (Team KletterRetter) who also added his name to that exclusive list in 2015. We took this chance to ask Dani a few questions about his motivation. KletterRetter: Dani, what drew you to Chilam Balam? Can you tell us something about the route that makes it different from anything else you’ve climbed? Dani: Chilam Balam is a great line that I’ve been wanting to climb for years now; that is the main thing that makes it different to me. 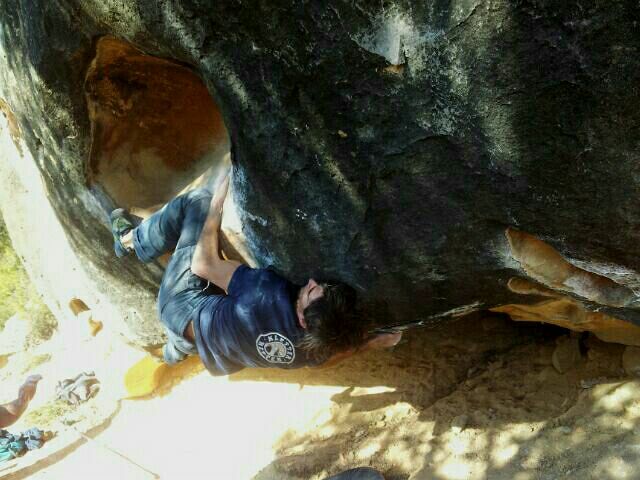 I want to continuously learn what is missing from my climbing and constantly improve! KletterRetter: When climbing a project, preparation is the key to success. How do you mentally and physically prepare yourself for a project like Chilam Balam? Dani: Modern climbers usually have a training program in a climbing gym to get fit. When they do a project, they are prepared for it and climb it relatively fast. When I have a project, I just go there and try it over and over again, developing the specific strength, endurance, rhythm and technique that the route requires. When possible, I also take my personal physical therapist, Pablo Scorza (Team KletterRetter), with me. Pablo helps me to keep my body injury free and ready to climb „a Muerte“! And to keep my motivation high I am always working on more than one project at a time; it is very good for my psyche to be working on at least two projects. KletterRetter: What has been your motivation to continue climbing all these years? Dani: Climbing has so many possibilities… like bouldering, multi-pitch, route setting, sport climbing, indoors, etc.. and I love all forms of climbing, so I never get bored! KletterRetter: If you could give one piece of advice to our readers, what would it be? Dani: To not be in hurry trying to get stronger quickly… it is very important to establish a solid level of fitness! This will help you avoid injuries and keep you motivated. KletterRetter: I’m sure you would recommend our KletterRetter hand cream to everyone, but what is it about KletterRetter that makes it so unique and special? Dani: Yes I’m very happy with KletterRetter because the other creams I used in the past made my hands too dry, but KletterRetter is very different and beside the other benefits, such as being fast absorbing and protecting the skin’s natural layer, it is very good for keeping my hands hydrated!